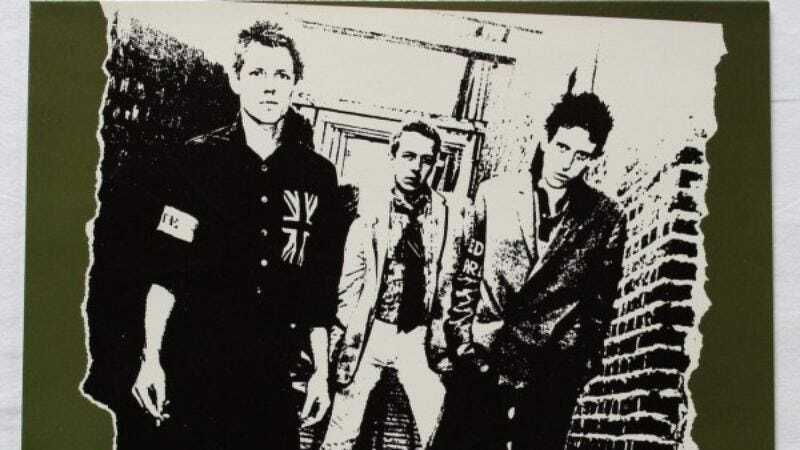 The true Clash aficionado has both the 1977 UK release as well as the 1979 US release of the group’s self titled release, The Clash, in their record collection. The Clash’s debut didn’t garner a U.S. release until a year or so after its second record, Give ‘Em Enough Rope, was released in the states. Why did it take so long for the debut album from Joe Strummer and company to come stateside? Apparently it’s because Epic Records thought that 1977’s The Clash sounded like it was recorded by an “amateur act” and would “fail miserably” if released. The story goes that in 1977, New York punk rock fan Paul Dougherty wrote an indignant letter to Epic records asking why The Clash had not yet been released in the United States. (Dangerous Minds recently posted a scan of the letter on their site.) His correspondence actually garnered a response from Epic’s East Coast A&R director Bruce Harris. In the letter Harris explains, “A&R decisions are not based entirely on taste and musical preference.” Harris states that he is an “avid Clash fan” but also mentions “the Clash’s album for all its quality (which is evident in the overwhelming lyrics, the blistering music and the feverish performance) is not at all matched by the level of production which is an enormous drawback.” Harris adds that he has been involved in the making of the group’s next album (Rope), but notes that “I don’t want them to sound like Fleetwood Mac—I want them to sound like the Clash that they are and not an amateur act” sounding like a typical A&R guy. Harris goes on to pin the lack of success of punk and new wave on radio “blocking the progress” because of the perceived lack of quality of albums released by Talking Heads and the Dead Boys. “Like any new movement” Harris states “punk will take time.” He’s no dummy; after all, punk broke on radio in 1994, 15 years after Harris wrote this letter. The Clash did do quite well in the U.S. After three years of only being available as an import—the best selling import of the year—in the states, The Clash was released in July 1979 in a slightly modified version; gone from the U.S. release were “Deny,” “Cheat,” “Protex Blue,” “48 Hours” and the original version of “White Riot.” In their place were “Clash City Rockers,” “Complete Control,” “(White Man) In Hammersmith Palais,” “Jail Guitar Doors,” a cover of the Bobby Fuller Four’s “I Fought The Law,” and a re-recorded version of “White Riot.” The album peaked at No. 126 on the Billboard charts. The group’s next album, London Calling, would prove to be its breakthrough.